My name is Jörg Bender. Uups, there is no letter ö in your alphabet? So let’s make it Joerg. I am German and came to the US with my family in January 2014, when my wife, Petra, started working for the employer of her dreams. And she still does. For me, this meant becoming a homemaker at first. And after about 1.5 years I decided to start my own business, based on what I have done before. Back in Germany I had an online store www.pumika.de and I sold dollhouse and wargaming miniatures. Mostly conventional retail items from all over the world (Europe, USA, Canada, Japan), some of them hard to find in Germany. 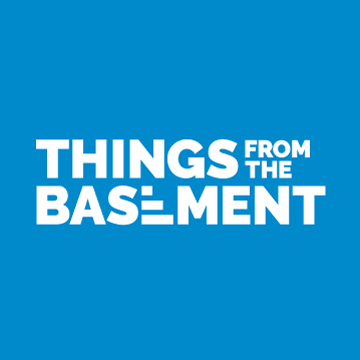 Why „Things from the Basement“? Over the last 20 something years or so my spot for designing, building and painting miniatures of all sorts was the basement. And now it is again! So why not call my business “Things from the Basement, LLC”? And to show that I am serious about it, I registered as an LLC. What does “Things from the Basement” do? Well, obviously selling dollhouse and wargaming miniatures. But this time my intention is to do it a bit differently. Right now at the start-up you will find a lot of retail items in my online store. This will change over time as I am planning to design and produce my own miniatures in the future. Emphases will be modern/contemporary furniture and accessories for the dollhouse section and buildings/terrain pieces and accessories for the wargaming section. Will “Things from the Basement” sell on trade shows? Yes, definitely! I am currently evaluating which shows might be right for us and then we will be on the road from 2016 on. Hope to see you then! Yes, as I have already mentioned my family in the beginning, I have to add that there are two more women in my life besides my wife Petra: First there is Paula, our daughter, and second Sasha, our cat! And all three of them support me in realizing my American dream!